The emphasis is on style, comfort and attention to detail and the chalet Thebe is proving to be one of our most popular in the resort of St Anton. The chalet has its own wellness area with ’4 person jacuzzi style bath’, sauna, relaxation and shower/wc, perfect for relaxing those aching muscles at the end of the day. Entrance to chalet, open-plan living/dining-room with fireplace, Wellness area. We were very pleased with the chalet. Good location, only 200m from the main lift. Chalet was new and very spacious with its own sauna and jacuzzi, and part of a 4 chalet complex. The food was pretty good and accommodated for my partner who is vegetarian. The Chalet host was very attentive. The rooms were large and the place had a good feel to it, but if you are after character then perhaps this is not the place for you as its very new. The skiing in St Anton was really good considering it was April, loads of snow and a good variety of slopes. 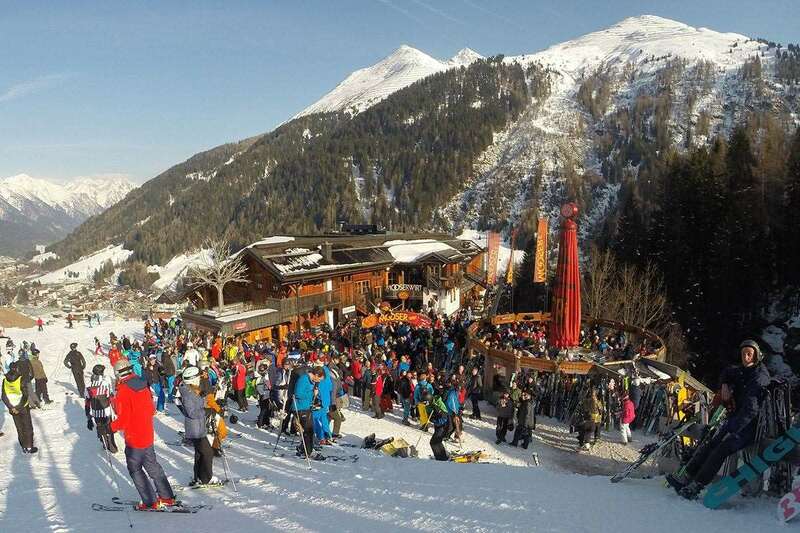 The Ski away day organised by the rep to Lech and Zurs was well worth the time and money. In fact the snow and skiing in Lech and Zurs was even better and we spent at least 3 days there. There is a free bus if you ski down to Alp Rauz, near Stuben. St Anton is a lively, clean and picturesque place, not over expensive and good for shopping and drinking. Don't eat in the Underground....although the food is OK, the Australian owner is fearsome and doesn't encourage a good atmosphere! All round a great holiday, great skiing for the time of year and a great value chalet with all mod cons including wifi!